Simply amazing. 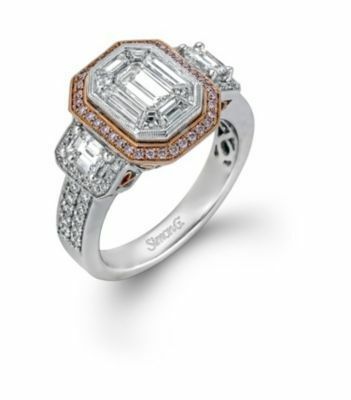 The craftsmanship of this elegant Simon G ring is simply amazing. The highlight of this ring is the center stone which creates a large look and is actually composed of 9 perfectly matched, cut and set diamonds. The center stones are encircled by rose gold set with white diamonds, flanked by beautiful emerald cut side stones. The design of this ring is carried through the undercarriage which is accented with rare pink diamonds. 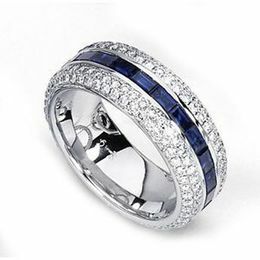 An elegant large look at an amazing price this ring will be the talk of the town and the envy of every modern woman. 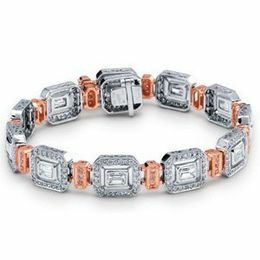 18kt white and rose gold .23ctw diamonds, .14ctw pink diamonds, .50ct emerald cut diamond and 1.01ctw mosaic.